In this release we feature Ry Moran, patrons, budgets & finance, and the InsideOCULA Newsletter for April. Few things in Canada have been as powerful, emotional, and disturbing as the Truth and Reconciliation Commission. It is the responsibility of the National Research Centre for Truth and Reconciliation (NRCTR) at the University of Manitoba to preserve the resources and memories arising from the work of the Commission and the legacy of the Indian Residential Schools. In this issue we have an in-depth interview with Ry Moran, (Director of the NRCTR), conducted by Jennifer Dekker. Do we really know how our patrons experience our libraries? Colleen MacKinnon and Monica Rettig decided to find out. They report back in Work Like a Patron Day @ Brock University Library. If the greatest fear of most professionals is public speaking, the second greatest fear maybe having to oversee an association’s budget. In her Bird’s Eye column, OLA Executive Director Shelagh Paterson explains why getting over fear of finance can lead to new insights and innovations: Run from the Numbers. And finally, this release of Open Shelf includes InsideOCULA for April 2015. 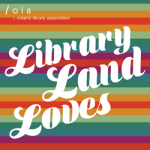 The newsletter of the Ontario College and University Libraries Association includes stories about the new ACRL information literacy framework, finding love (book love!) in the library, and putting theory into practice in collection development . BTW if you are looking for the April Special Issue of Open Shelf (released for April 1st only), here is the Table of Contents. You will find all the articles listed under the Guest Editor, April Foolish (Erehwon Public Library).